Central Intelligence Agency Director John Brennan takes questions from the audience after addressing the Council on Foreign Relations, March 11, 2014, in Washington, D.C.
Based on what’s been released today, “Crackas With Attitude” seem unlikely to join Edward Snowden and Chelsea Manning among the leakers who’ve had a profound impact on the American national security debate during the Obama administration. On Wednesday, WikiLeaks published a first selection from the emails in CIA Director John Brennan’s private AOL address. The hacker who accessed the account, who tweets using the handle @phphax, described himself to the New York Post as a high school student critical of U.S. foreign policy, especially support for Israel. He said that he and classmate go by the nickname “Crackas With Attitude” and claimed to have accessed the account by tricking Verizon into providing Brennan’s data and then resetting his password. 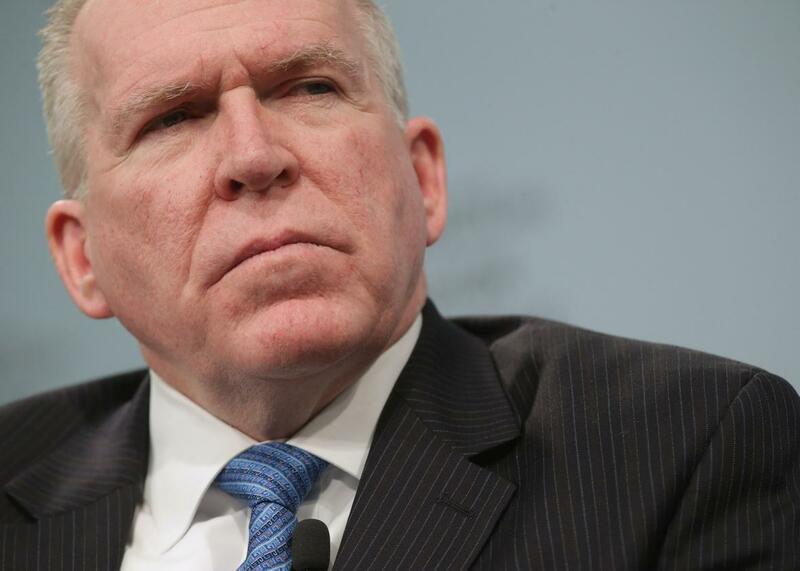 A 25-year CIA veteran who once served as Riyadh, Saudi Arabia, station chief, Brennan has been director of the agency since 2013. Before that, he was one of President Obama’s closest and most trusted national security advisers. He’s also courted controversy with his staunch support of the Obama administration’s controversial drone program as well as his defense of Bush-era interrogation tactics, which he has steadfastly not referred to as torture. There’s a fax related to a fairly arcane legal dispute between the CIA and Brennan’s former private employer, the Analysis Corp., which was the subject of some intrigue during the 2008 campaign. * A draft document on priorities for the U.S. intelligence committee recommends that the CIA director be given a fixed 10-year term like the FBI director, something other analysts have also called for. There’s also a memo and draft bill from former Senate Intelligence Committee Vice Chairman Kit Bond on legislation that would limit CIA interrogation methods to those allowed in the U.S. army field manual, something pretty consistent with Bond’s public statements on the issue. The most interesting document may be a draft of a set of recommendations about Iran for the new president, written in 2007, presumably during the Obama campaign, to which Brennan was an adviser. He faulted the Bush administration for failing to take opportunities to cooperate with Iran, particularly after the fall of the Taliban in Afghanistan. Brennan recommended that the next administration “tone down the rhetoric” and “establish a dialogue with Tehran,” something his boss has belatedly done. So far at least, the hackers haven’t caught Brennan in any serious lies or malfeasance. The worst he can be accused of is being careless enough to leave private information on a personal AOL account—which, for a career spy entrusted with what may be the world’s most information-sensitive job, is admittedly pretty bad. *Correction, Oct. 22, 2015: This post misidentified the company where Brennan used to work. It is the Analysis Corp., not the Analysis Group.